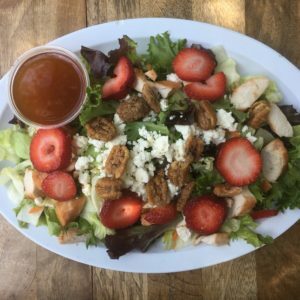 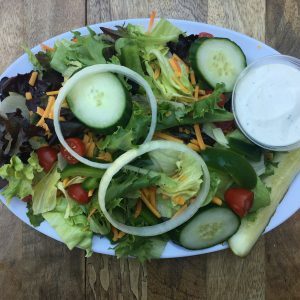 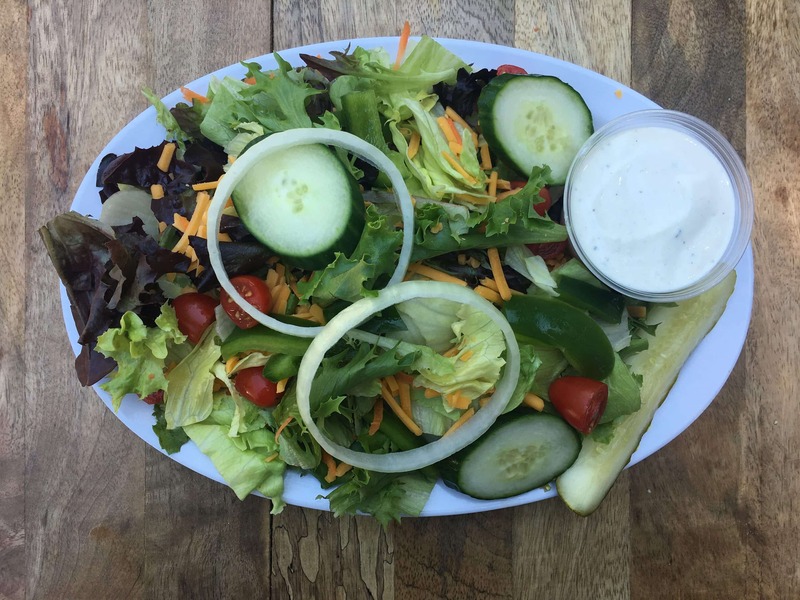 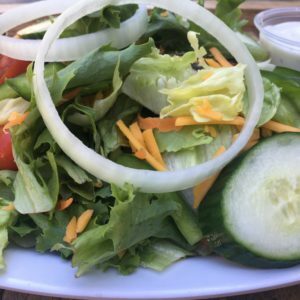 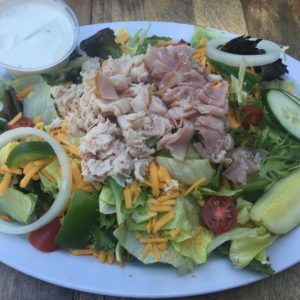 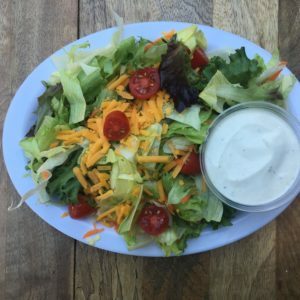 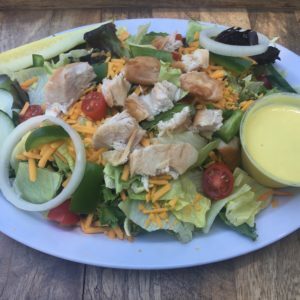 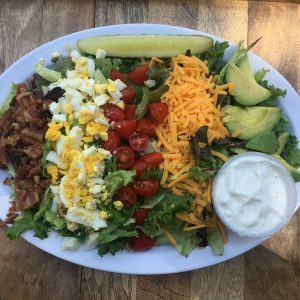 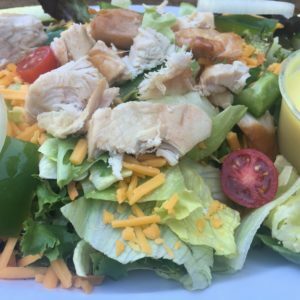 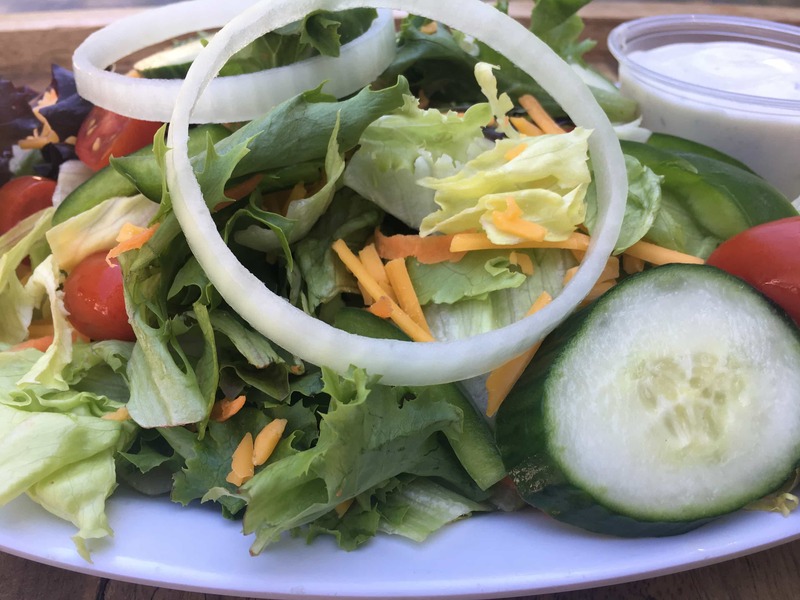 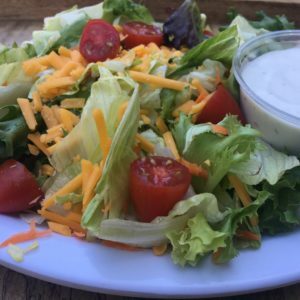 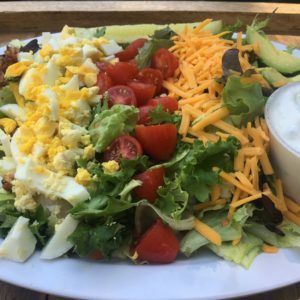 A combination of iceberg lettuce and mixed greens topped with cheddar cheese, cucumbers, bell peppers, cherry tomatoes, onions, a dill pickle and your favorite dressing. 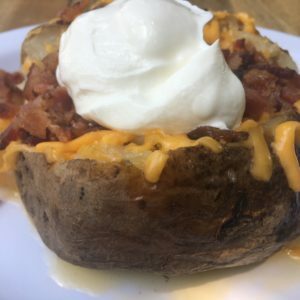 Keep it "Dish Style"I'd like to customize this. 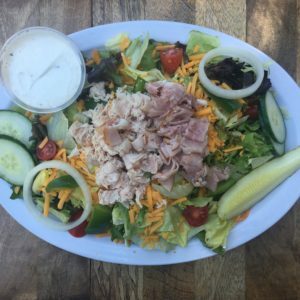 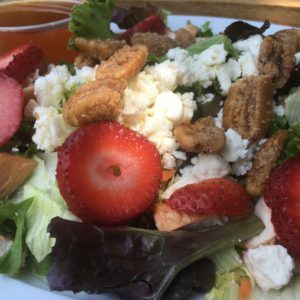 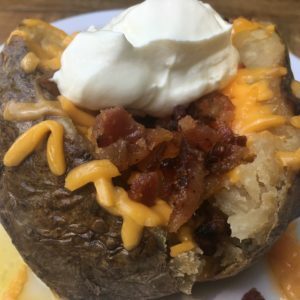 Keep it "Dish Style" exactly as described, or customize any of these options to your liking.